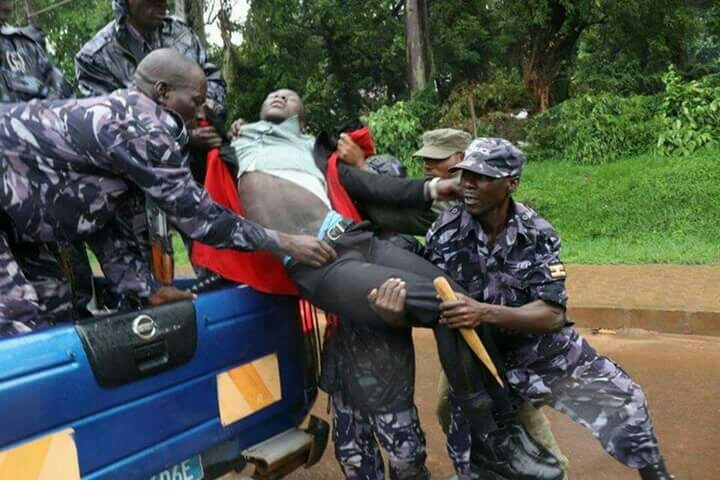 Police have confirmed that they have in custody 24 Makerere University students including the guild president Salim Papa Were. 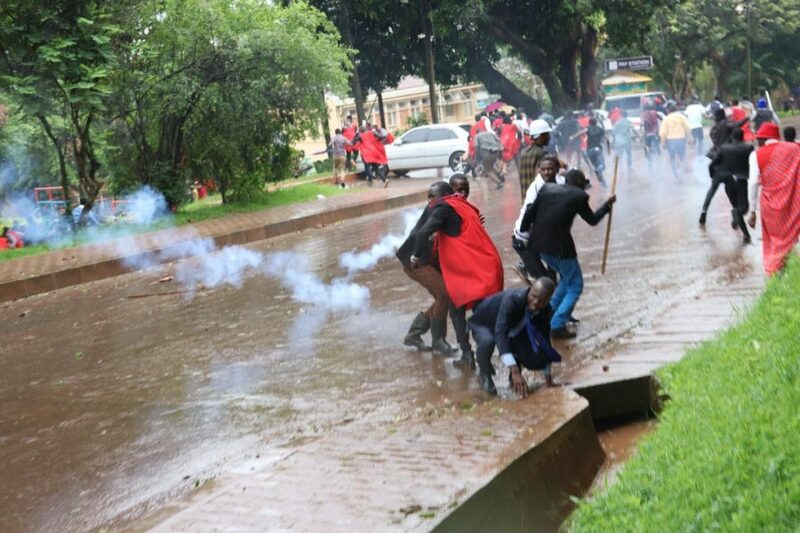 According to Kampala Metropolitan deputy Police Commander Dennis Namuwooza, police have recorded evidence against the students who were arrested. Police on Monday morning arrested Mr Were as students went on strike, protesting fees increment among other issues. Mr Were was picked from the University’s freedom square as he mobilised students to strike against “draconian policies”, and seek an immediate explanation from the vice chancellor concerning pressing issues including the scrapping of meals for government-sponsored students. 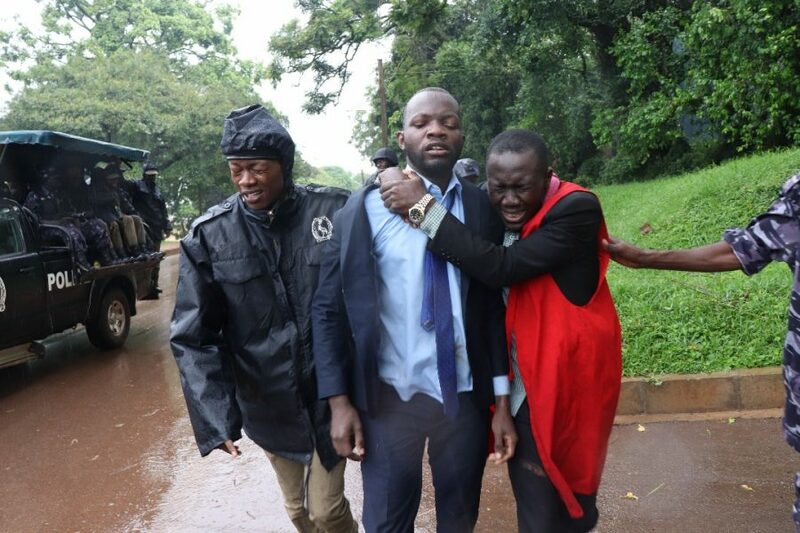 Makerere University guild president Salim Papa Were (centre) is taken away by a police officer. According to Mr Martins Kato, the information minister, Mr Papa alongside several others had been taken to unknown destination. It was later established that Were was being held at Wandegeya Police station. Soon after the arrest, police was involved in running battles with students. Teargas cannisters were fired to disperse protesting students. At the weekend, Mr Were declared the students had decided to take action in protest, after Prof Barnabas Nawangwe, the University Vice Chancellor skipped a consultative meeting intended to find long lasting solutions to the issues, key among them including unfair justification fees increment, scrapping meals for students in halls, evening classes, sexual harassment and several others. The students are demanding for a clear explanation from the University officials on what they have termed as “draconian policies”. The university spokesperson Ms Ritah Namisango however called on the students to remain calm and concentrate on their studies for the upcoming examinations. She invited students to attend a meeting on Wednesday April 18th with the , Prof Nawangwe who is currently out of the country on official business.